Now managed by Portuguese great Jose Mourinho, Manchester United appointed TAG Heuer official timekeeper last year, rekindling the relationship between the chief executive Jean-Claude Biver and the club. In his other job as chairman of Hublot, Biver dropped the brand’s sponsorship of the Old Trafford club in 2013 after the retirement of legendary coach Alex Ferguson. 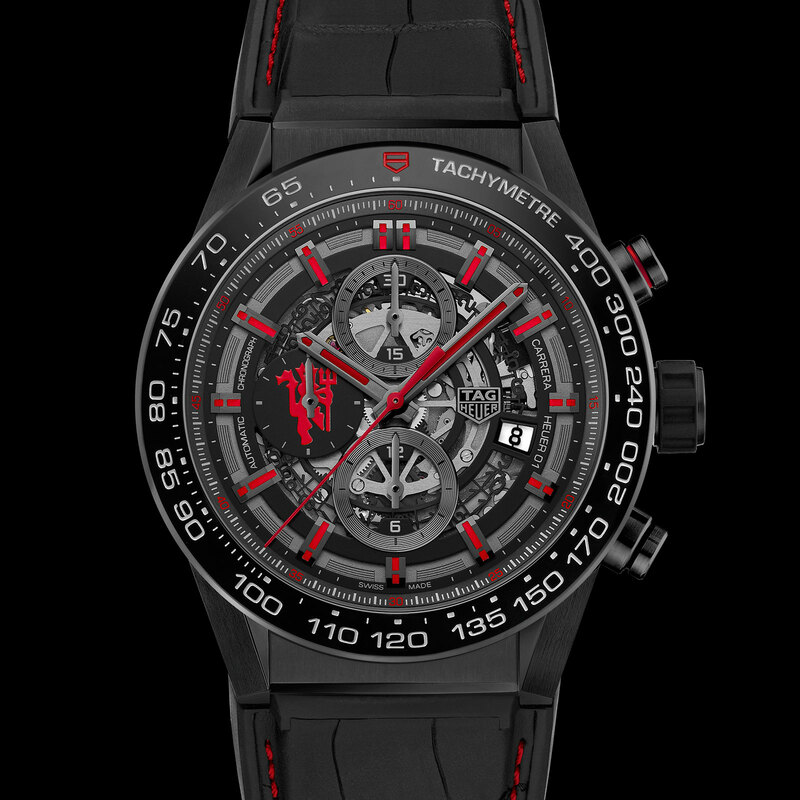 The result of the partnership is a pair of chronographs in black and red – each priced affordably for what they are – bearing the Premier League club’s logo on their dials and backs – predictably the first of many such watches. The flagship model is the Carrera Heuer-01 Calibre Manufacture Chronograph Manchester United Special Edition, a limited edition based on TAG Heuer’s bestselling mechanical chronograph. It has a 45mm steel case with a matte black coating, as well as a black ceramic bezel. Inside is the self-winding Calibre Heuer 01. Significantly more affordable is the Formula 1 Chronograph Manchester United Special Edition, a variant of the brand’s entry-level sports watch. It’s steel, 43mm and powered by a basic Ronda quartz movement. Notably the Formula 1 model is not a limited edition, a prudent move since Manchester United is one of the world’s most popular football clubs, which means it has legions of members who have a sensible budget when it comes to watches. Notably, the earlier Hublot Manchester United limited edition watches (like this 2011 version) cost more than 10 times the Formula 1. 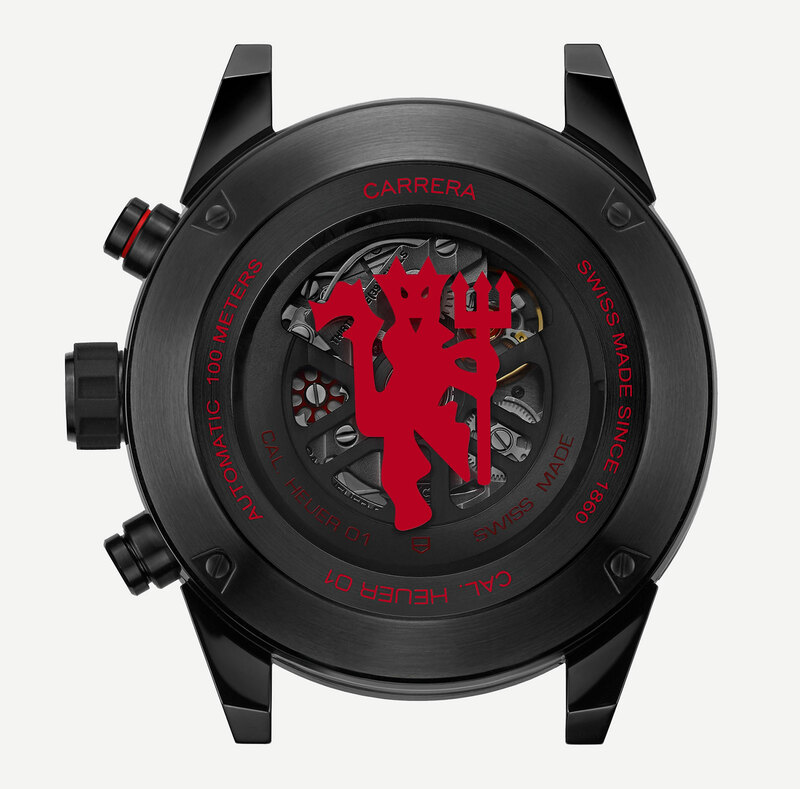 The Carrera Heuer-01 Manchester United Special Edition (ref. CAR2A1J.FC6416 or CAR2A1J.FC6400) is limited to 1000 pieces, priced at SFr5900. 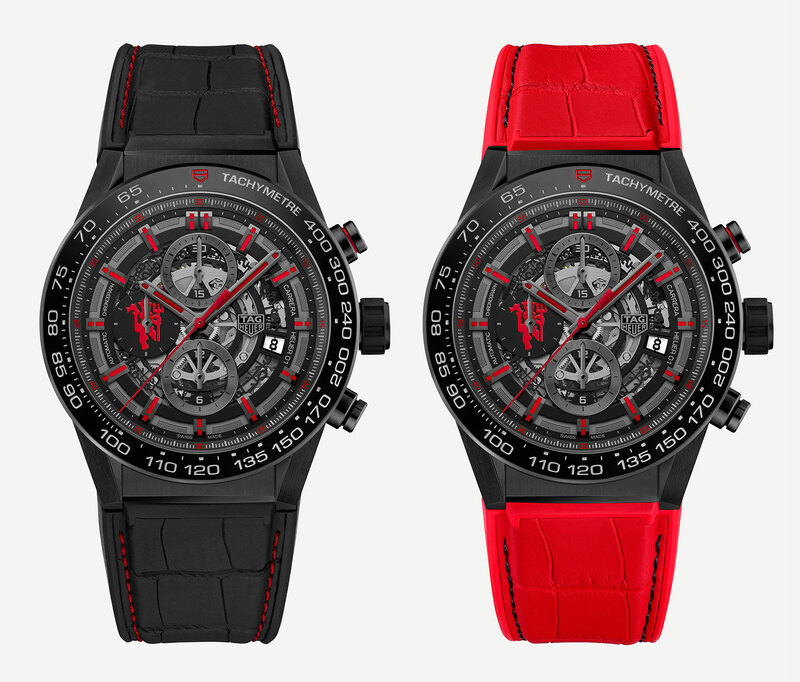 And the Formula 1 Chronograph Manchester United Special Edition (ref. CAZ101J.FT8027) costs SFr1550. Both are available from TAG Heuer stores and boutiques starting March 2017. 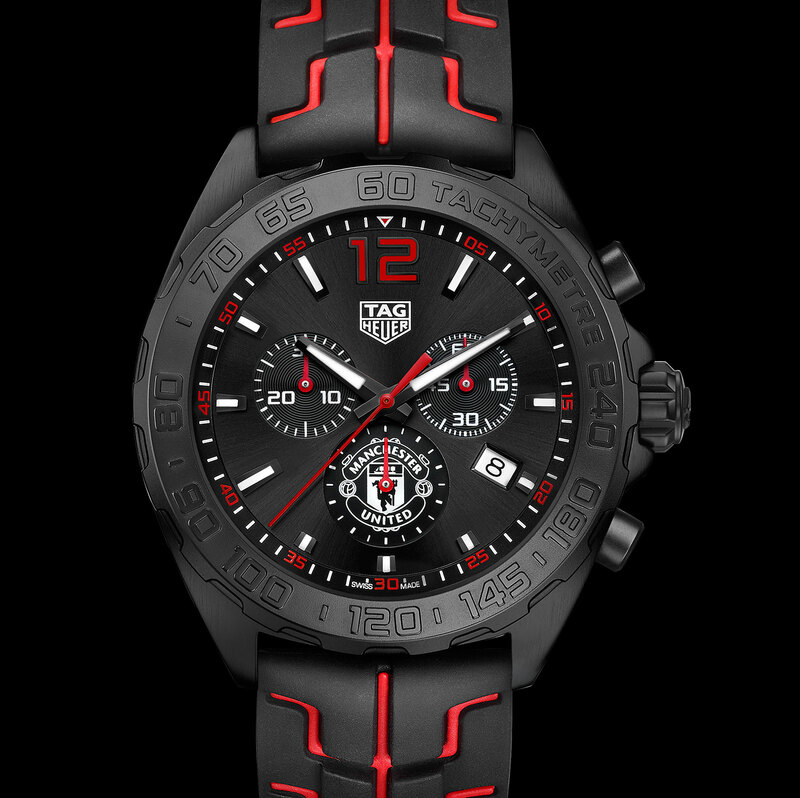 TAG Heuer's top selling chronograph is now available in sleek black ceramic.